What Are Science Conferences Like? Firstly, there are lots of scientists and very few lab coats or safety goggles — as they come to talk science instead of do science. There are lots of seminars — from the mind-shatteringly awesome to the “pretty OK”. There are also “poster sessions” where people quickly describe their research to one another, and those can be great for learning a lot in a short amount of time. 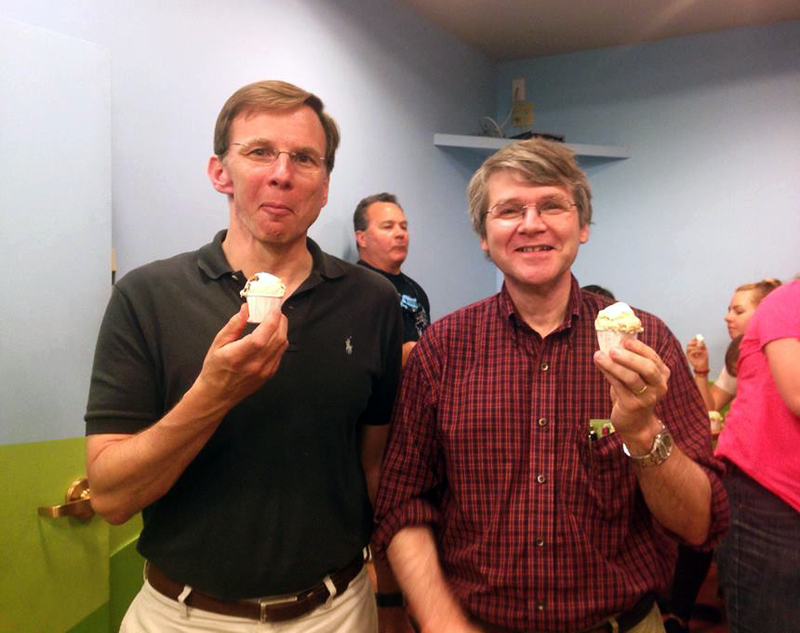 “Science talk” usually takes up most of the time, but all the best conferences (in my opinion) leave plenty of time for social activities…like eating ice cream! 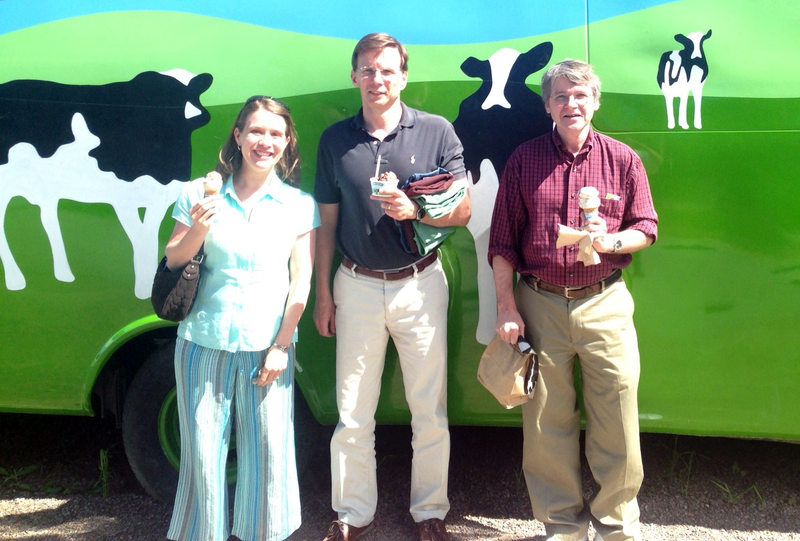 Christy Haynes, Joel Pedersen, and Robert Hamers (left to right) — living the science dream, with ice cream. Thus marks the third time ice cream has come up as a topic on this blog… I think we’re obsessed. The Center for Sustainable Nanotechnology is well-represented at the most recent “Environmental Nanotechnology” Gordon Research Conference in Stowe, VT (just miles from the birthplace of Ben & Jerry’s ice cream). I’m sure they’re coming up with plenty of new ideas, and and seem to be having a great time! What Does Sustainable Have To Do With Nano? Ha! My favorite ice cream is definitely the one that has positively charged spherical gold particles mixed with negatively charged bilayers… They are better than Cherry Garcia, which used to be my favorite after New York Super Fudge Chunk.